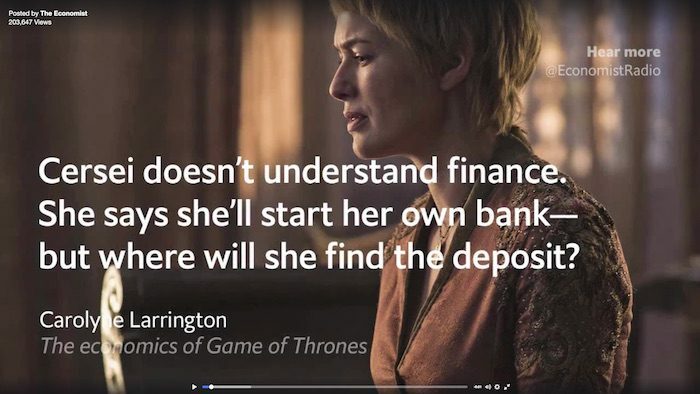 July 6, 2016, 12:54 p.m.
[I]f there’s one thing that verges on a safe bet it’s ‘Game of Thrones.’ Our other social posts promoting articles on the economics and politics of Westeros have been among our most popular of the year, and our audiogram for a podcast on the topic also performed above average for a social post. 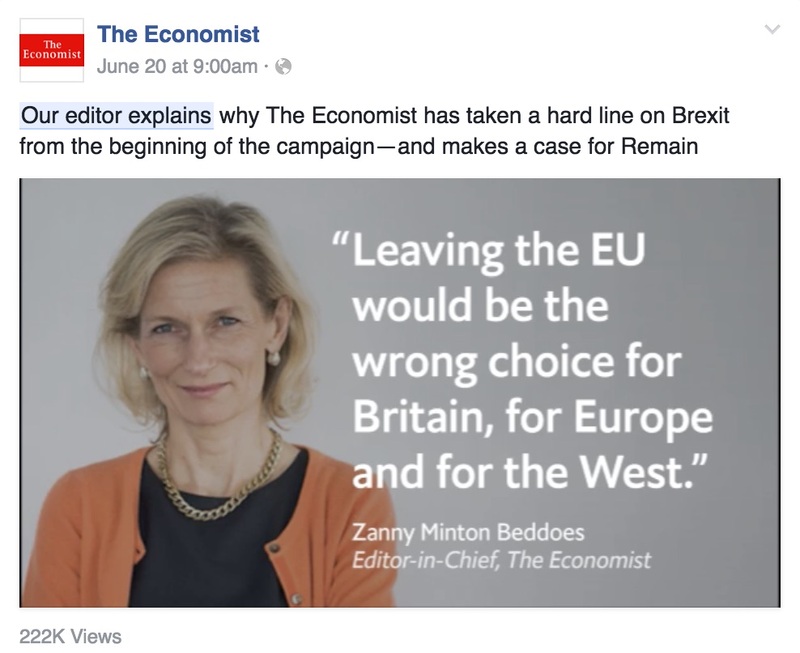 The Economist’s most popular audiogram so far, based on reach, engagement, and overall audio plays, was from an interview with editor-in-chief Zanny Minton Beddoes, featuring her stance on Brexit. “Given that our social feeds had been so filled with Brexit articles, this audiogram gave our followers something a little different: the opportunity to stop and listen to our elevator pitch on why we supported Remain, without having to leave Facebook,” Reid wrote. 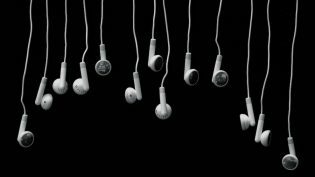 WNYC and NPR have both dabbled in the world of audiograms, acknowledging that many social users tend to spend no longer than a couple of minutes on clips in their social feeds. Both have found success with quick turnarounds, interviews with high-interest individuals, and breaking news. Washington-Harmon, Taylyn. "Here’s what worked when The Economist tried out “audiograms” to promote its podcasts on Facebook." Nieman Journalism Lab. Nieman Foundation for Journalism at Harvard, 6 Jul. 2016. Web. 20 Apr. 2019. Washington-Harmon, Taylyn. "Here’s what worked when The Economist tried out “audiograms” to promote its podcasts on Facebook." Nieman Journalism Lab. Last modified July 6, 2016. 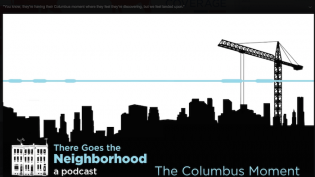 Accessed April 20, 2019. https://www.niemanlab.org/2016/07/heres-what-worked-when-the-economist-tried-out-audiograms-to-promote-its-podcasts-on-facebook/.